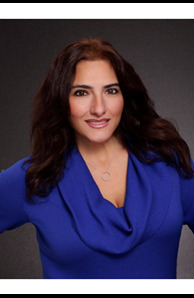 Francesca Mulone is a Top Producing Broker specializing in residential real estate assisting sellers & home buyers, landlords and investors in the Westchester, Putnam, Dutchess and Bronx Counties. She has public relations skills, local expertise and nerves of steel. She has the skills and experience necessary to ensure the successful sale of your home. Francesca has unrivaled familiarity with the current and recent inventories of available homes, area trends in valuation and time on market – key information for both buyers and sellers. These skills, along with her ability to deliver creative solutions for her clients or customers, allow her to provide Top Quality Customer Service. Francesca is a proud mother of 2 wonderful daughters (one is a Marine & one is Solider) & 2 beautiful granddaughters. She always does what she can for our veterans and is always involed in charities and fundraisers.